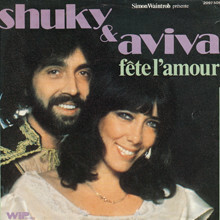 In 1975, Shuki Levy partnered with Israeli actress Aviva Paz and started a dynamic song duo called “Shuki and Aviva” (sometimes credited with the spelling “Shuky and Aviva”). 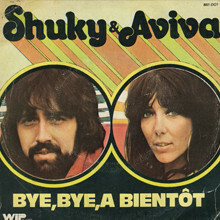 Levy met Paz while starring in the Israeli stage version of “Hair.” They started their musical act in London, performing at several nightclubs including the world famous “Celebrity Room.” As their popularity grew, the group began touring with legendary singer Mike Brant. 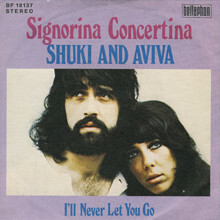 With Shuki’s songwriting talent and Aviva’s charming stage presence, the duo quickly became famous all over Europe, Africa and Asia. 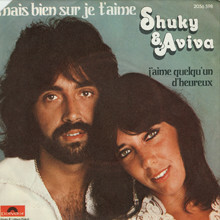 By the end of their partnership, “Shuki and Aviva” had garnered 15 gold records and had sold over 14 million albums worldwide. 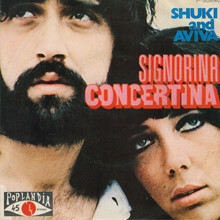 Their best-selling single, “Singnorina Concertina,” sold over two million copies in Europe alone. 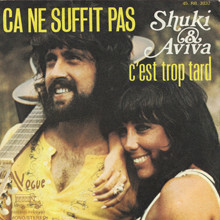 A “Best of Shuki and Aviva” album was recently released and has been well received throughout Europe. © 2019 Shuki Levy. All Rights Reserved.